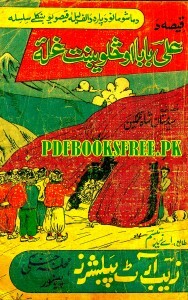 Ali Baba 40 Chor Pashto ( Qissa Da Ali Baba Ao Salwekhto Ghlo) Authored By Mastan Shah Ghamgeen. Ali Baba Chalees Chor book contains collection of Alif Laila stories for kids in Pashto language. Visit the following links to read online and free download full book in Pdf format for offline reading. Thousand Thanks from 35 million Pashtuns of Pakistan..